So you have a small construction business quick cash fund to finance it. You outsource your contracts from a main contractor which means you are a sub contractor (subcon) provider. You have an upcoming project and you don’t know where to source funds to buy initial construction materials and equipment for your start up business. Questions is, are there lending companies, banks or private financiers where you can get quick cash fund either thru loan or some sort of bridge financing? A loan in short. In Asia and many other third world countries where construction projects abound here and there, sub contracting business is a profitable way to get ahead of the competition. Starting small is not bad and when you learn the do’s and dont’s as well as where you can source out cheap labor to provide or cheap materials to use. We call this as wholesale bought price which may probably be cheap because you can buy them from the very main source thru contacts or you have a major contractor who knows where you can get your construction materials. The problem is if you don’t have the funds and even though you already know what to do and you have the manpower supply to finish a small sub contract, you can’t start your project. So where do you get funds for this project like some sort of bridge financing? 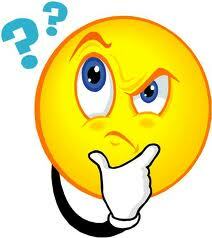 What types of loans are available for sub contractors like you. Who Can Apply for Quick Cash Fund? What Loan Offers 1 Day Release? Practically, anybody can do this for as long as they have either of the 3 basic collateral to use. I must admit this falls the same level as for bigger project engineers, architects, civil engineers and other construction people out there. It falls in the same situation even if you are a major construction company or a major contractor. In my case as a loan agent / consultant for more than 3 years for multiple lending company providers, I’ve already catered to different cases of small time and big time contractors out there who need the money to finance a project. You can be some small player who suddenly got big projects and needs some funding to finance a pet first time construction project or you may be the main contractor. You surely can’t resist the need to borrow cash loan as a first step to go big time next time. Will possibilities end here? No! If you live in the Philippines and is doing the same business, there is always hope. Yes, there is hope and even if you are doing the same job elsewhere there is an answer. It is generic and easy to understand and for those who haven’t realized it yet, allow me to lighten you up with your options to borrow quick cash funds with lenders. Below are your choices and enumerated. All you need is somebody to assist you in applying for your loan. That is absolutely me! Although above is the major list we have, we used to offer check rediscounting type of loan which sadly doesn’t exist to this day anymore. There may be a few offers out there but I no longer cater to this type of quick cash fund source anymore. To help you realize it if you are one of those people who currently needs money to use for a pet project in the construction business, below are some pointers and major reasons why you should go for a collateral loan option first. 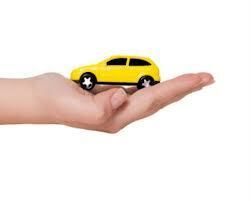 Fast processing loan up to 1 hour fastest possible for car impounding loan. Personal loan takes 5-7 days and involves C.I or credit investigation while collateral loans usually doesn’t. For a 3M loan, you definitely need something to use as collateral. Non collateralized loans available in the Philippines as unsecured loan will not give you that much of an amount to to lend from lending companies. I strongly suggest that you work it out whoever is in the Philippines if you have a property to use as collateral, a house and lot will usually do with a value of at least 5M property can make you come up with a 3M loan max. 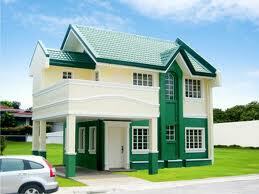 If you have any concerns regarding house and lot loan, you can always try to visit here – http://www.houseandlotloan.com. Hello i just want to ask. I need to file a cash loan atleast 1M to 1.5M. Im planning to use my Property (LOT) as collateral. My estimate value of my lot is around 2M up. do you think meron bank n mag approved with that type of loan?